I believe we as believers need to be ready to engage others about our faith. In fact, 1 Peter 3:15 (ESV) says to us,"but in your hearts honor Christ the Lord as holy, always being prepared to make a defense to anyone who asks you for a reason for the hope that is in you; yet do it with gentleness and respect"
Apologetics does not mean that we are to apologize for the gospel. It comes from the word Apologia which means to give a defense for our position. 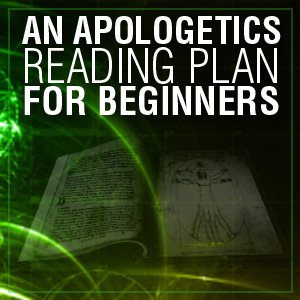 If you are new to apologetics perhaps you are wondering where to begin. Because there are so many apologetics books out there I think it would be useful to have a sort of "top 10" reading plan for beginners. All of Lee Strobel's books are required reading for two reasons. First, they are good introductions to the subject and provide a good overview of the material from some of the best scholars in their fields. Second, the writing style is very accessible, taking you alongside a journalist in his investigation of the evidence for Christianity. In this particular title, Strobel focuses on the life and identity of Jesus. The second book is just as readable as The Case for Christ, but this one delves into the evidence for the Creator. The third book moves from making a positive case for Christ and a Creator to defending Christianity from some common criticisms and objections. This one deals with the hard faith questions such as the problem of pain and suffering and issues of doubt. I suggest all three of these by Lee Strobel as a great starting point. This resource will introduce you to the wide landscape of apologetics by outlining, diagramming, and illustrating all of the key arguments for the existence of God, the reliability of the Bible, the beliefs of other world views, and common objections. This is very helpful in providing visual categories for the content you are taking in. This is also useful as a "primer" on the key topics and helpful to establish a bird's eye view. Illustrations of the ideas are also great for sharing with others what you have learned. This resource has been around more than three decades but it is still a helpful book to acquaint those new to apologetics. It provides a good overview of some of the important aspects of the life of Jesus. It is a book that explores areas where those who are skeptical about Jesus deity, his resurrection, his claims on their lives. This book offers commonsense help to all who want to explore modern challenges to the Christian faith and its moral system. A variety of angles are explored such as education, law, political correctness, and marriage among others. I think it provides a solid critique of moral relativism. In this book you'll be challenged to live a vibrant life of intellectual engagement with your faith. This is a classic book that every apologist should read. Information without application results in stagnation when it comes to apologetics. That's why it's time for a good dose of Tactics, which will train you not only to use apologetic content in everyday life, but it will also train you to be a better, more critical thinker. This is another "must read" book, and mastering its contents early in your apologetic studies will put feet to your faith. The resurrection of Jesus is central to Christianity. This book equips you to understand and defend the resurrection from an historical perspective. This is an essential book for the apologist. Now it's time to look at some of the most common objections that have come against Christianity since the rise of the new atheism. Geisler and Turek have authored a great apologetics book that also takes a step-by-step approach to showing that Christianity is true—and it's filled with lots of information. This book will help to grow your overall general apologetic knowledge as well. On Guard has illustrations, argument maps, and sidebars which aim to make the material easier to grasp and engage with. This book will introduce the newer apologist to Craig's time-tested arguments for the existence of God and the resurrection of Jesus. What is Lent? Lent is a season of forty days, not counting Sundays, which begins on Ash Wednesday and ends on Holy Saturday. Lent comes from the Anglo Saxon word lencten, which means "spring." The forty days represents the time Jesus spent in the wilderness, enduring the temptation of Satan. Lent is a time of repentance, fasting and preparation for the coming of Easter. It is a time of self-examination and reflection. In the early church, Lent was a time to prepare new converts for baptism. Today, Christians focus on their relationship with God, often choosing to give up something or to volunteer and give of themselves for others. Sundays in Lent are not counted in the forty days because each Sunday represents a "mini-Easter" and the reverent spirit of Lent is tempered with joyful anticipation of the Resurrection. As we enter this important time in our life I want to invite you to enter into a time of prayer and introspection. Let us begin a time of growing in our relationship to God. Fast from ill-temper, and feast on peace. Fast from resentment, and feast on contentment. Fast from pride, and feast on humility. What will you give up or take on in this season? We are quickly approaching Lent...less than a week away in fact - Feb 13. Let me remind you about this sacred time of the year....Lent is a season of forty days, not counting Sundays, which begins on Ash Wednesday and ends on Holy Saturday. Lent comes from the Anglo Saxon word lencten, which means "spring." The forty days represents the time Jesus spent in the wilderness, enduring the temptation of Satan. And he was in the wilderness forty days, being tempted by Satan. And he was with the wild animals, and the angels were ministering to him. Again, Lent is a time of repentance, fasting and preparation for the coming of Easter. It is a time of introspection. In the early church, Lent was a time to prepare new converts for baptism. Today, Christians focus on their relationship with God, often choosing to give up something or to volunteer and give of themselves for others. Sundays in Lent are not counted in the forty days because each Sunday represents a "mini-Easter" and the reverent spirit of Lent is tempered with joyful anticipation of the Resurrection. Let us eagerly enter into this season together. 1910 Ford I cannot see this too often! 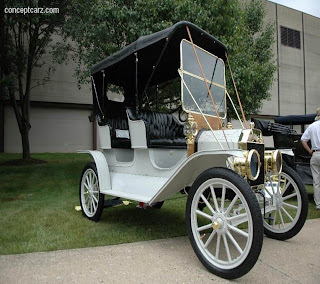 This has only been 103 years ago. A competent accountant could expect to earn $2000 per year, a dentist $2,500 per year, a veterinarian between $1,500 and $4,000 per year, and a mechanical engineer about $5,000 per year. More than 95 percent of all births took place at HOME. Ninety percent of all Doctors had NO COLLEGE EDUCATION! Most women only washed their hair once a month, and used Borax or egg yolks for shampoo. There was no such thing as under arm deodorant or tooth paste. Two out of every 10 adults couldn't read or write and only 6 percent of all Americans had graduated from high school. Eighteen percent of households had at least one full-time servant or domestic help.